Building B, 2016, Casted bronze, black patina, 11.8 x 7 x 2.3 inches. Building F, 2016, Casted bronze, black patina, 9.6 x 4.7 x 2.8 inches. Building G, 2016, Casted bronze, black patina, 10.2 x 5.1 x 3.5 inches. Citysound, 2016, Ink on tracing paper, 19 x 24 inches, paper, 20 x 25 inches, framed. Building, 2010, Ink and pencil on tracing paper, 18.5 x 23.5 inches, paper, 20.125 x 25 inches, framed. SEE, 2013, Gold plated brass, 11.125 x 7.75 inches, brass, Signed verso, lower left. OR, 2013, Gold plated brass, 11.125 x 7.75 inches, brass, Signed verso, lower left. No Go, 2013, Gold plated brass, 11.125 x 7.75 inches, brass, 17.75 x 13.75 inches, framed, Signed verso, lower left. 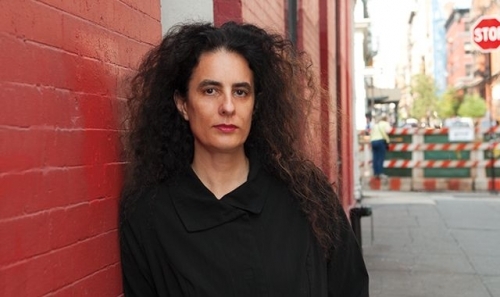 Egyptian-German artist Susan Hefuna (b.1962) creates drawings, sculptures, installations, and video performances which focus on cross-cultural codes and the personal experiences of living within different cultures. Her work questions the significance of imagery, and often creates dream-like spaces through abstract and formal means. The Mashrabiya, an architectural screen that marks Islamic art and architecture is a recurrent motif in Hefuna’s work. The Mashrabiya’s function of allowing women to see out to the street, yet remain unseen, is a fitting structure for Hefuna’s exploration of visibility vs. invisibility and the dynamics of human interaction. The motif appears in her pinhole photographs, in videos, as well as in sculptures made of wood, bronze, and cut brass. In several drawings, the pattern of the Mashrabiya appears in an abstracted form. Susan Hefuna’s works has been exhibited internationally at institutions and galleries such as Galerie Volker Diehl, Berlin, Germany (2018); The Drawing Room, London, UK (2017); Centres Georges Pompidou, Paris, France (2016); Guggenheim, New York, USA (2016); LACMA, Los Angeles, USA (2015); the Sharjah Art Foundation, Sharjah, UAE (2014); Othaus Museum, Germany (2014); Serpentine Gallery, London (2012); On Line: Drawing through the Twentieth Century the Museum of Modern Art, New York (2010); Townhouse, Cairo (2011); Kunstmuseum, Thun, Switzerland; MUMOK, Vienna (2010); Belvedere Museum (2010); Galerie Grita Insam, Vienna, Austria (2010); Fare Mondi, 53rd Venice Biennial, Italy (2009); Seville Biennial, Spain (2008); New Museum, New York, USA (2008); 2nd Riwaq Biennale, Palestine (2007) ; 9th Sharjah Biennial, UAE (2007) ; The Louvre, Paris (2004/2005), France; National Gallery, Cape Town, South Africa (2001).